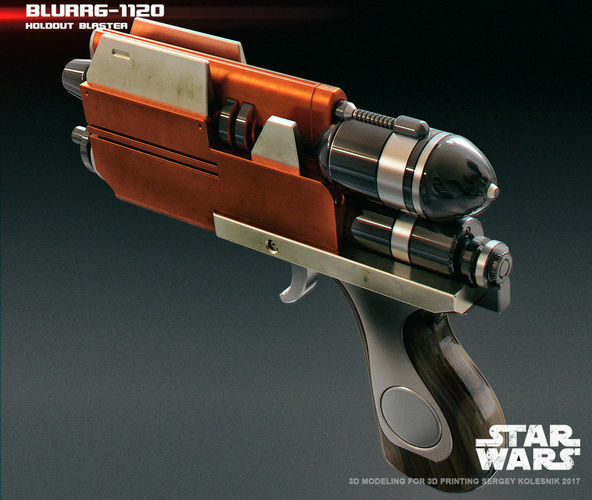 The Blurrg-1120 holdout blaster was a type of hold-out blaster pistol manufactured by Eirriss Ryloth Defense Tech. It sported 9 unique firing modes, including the standard single and double shot. The pistol was favored by the Twi'lek rebel Hera Syndulla. The weapon was named after the blurrg, a creature native to Ryloth, the home of its manufacturer.